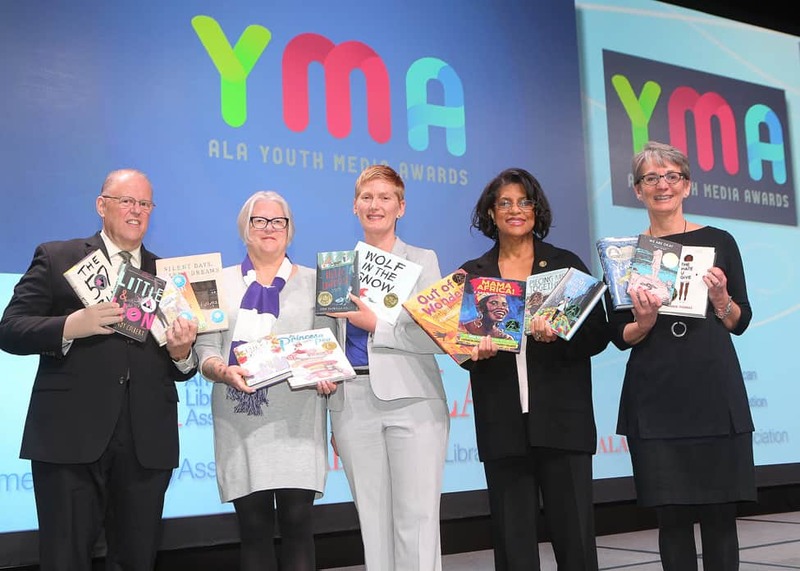 At the Youth Media Awards, from left: ALA President Jim Neal, Reforma President Tess Tobin, Association of Library Service to Children President Nina Lindsay, Coretta Scott King Chair Claudette McLinn, and Young Adult Library Services Association President Sandra Hughes Hassell display the winning books. The American Library Association (ALA) today announced the top books, video and audio books for children and young adults—including the Caldecott, Coretta Scott King, Newbery and Printz awards—at its Midwinter Meeting in Denver, Colorado. Hello, Universe by Erin Entrada Kelly is the 2018 Newbery Medal winner. The book is published by Greenwillow Books, an imprint of HarperCollins Publishers. Three Newbery Honor Books also were named: Crown: An Ode to the Fresh Cut, written by Derrick Barnes, illustrated by Gordon C. James and published by Bolden, an Agate Imprint, a Denene Millner Book; Long Way Down, written by Jason Reynolds and published by Atheneum, an imprint of Simon & Schuster Children’s Publishing Division, a Caitlyn Dlouhy Book; and Piecing Me Together, written by Renée Watson and published by Bloomsbury Children’s Books. 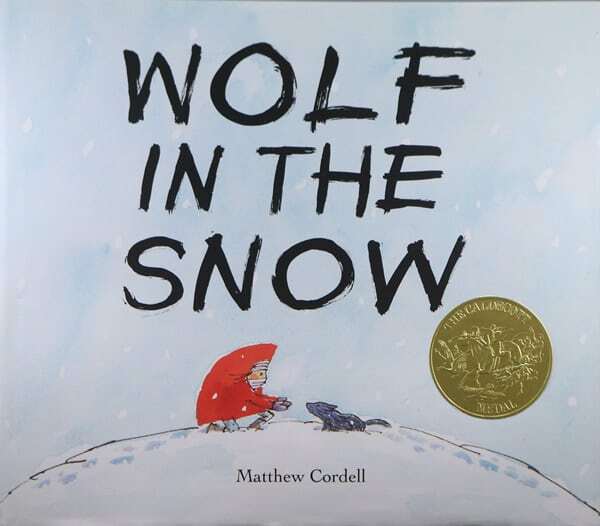 Wolf in the Snow, illustrated and written by Matthew Cordell, is the 2018 Caldecott Medal winner. The book was published by Feiwel and Friends, an imprint of Macmillan. Four Caldecott Honor Books also were named: Big Cat, little cat, illustrated and written by Elisha Cooper and published by Roaring Brook Press, a division of Holtzbrinck Publishing Holdings Limited Partnership; Crown: An Ode to the Fresh Cut, illustrated by Gordon C. James, written by Derrick Barnes, and published by Bolden, an Agate Imprint, a Denene Millner Book; A Different Pond, illustrated by Thi Bui, written by Bao Phi and published by Capstone Young Readers, a Capstone imprint; and Grand Canyon, illustrated and written by Jason Chin, a Neal Porter Book, published by Roaring Brook Press, a division of Holtzbrinck Publishing Holdings Limited Partnership. Piecing Me Together, written by Renée Watson, is the King Author Award winner. The book is published by Bloomsbury Children’s Books. Three King Author Honor Books also were named: Crown: An Ode to the Fresh Cut, written by Derrick Barnes, published by Bolden, an Agate Imprint, a Denene Millner Book; Long Way Down, written by Jason Reynolds, published by Atheneum, an Imprint of Simon & Schuster Children’s Publishing Division, a Caitlyn Dlouhy Book; and The Hate U Give, written by Angie Thomas, published by Balzer + Bray, an imprint of HarperCollins Publishers. Out of Wonder: Poems Celebrating Poets, illustrated by Ekua Holmes, is the King Illustrator Award winner. The book is written by Kwame Alexander with Chris Colderly and Marjory Wentworth and published by Candlewick Press. Two King Illustrator Honor Books also were named: Crown: An Ode to a Fresh Cut, illustrated by Gordon C. James, written by Derrick Barnes and published by Bolden, an Agate Imprint, a Denene Millner Book; and Before She Was Harriet: The Story of Harriet Tubman, illustrated by James E. Ransome, written by Lesa Cline-Ransome, and published by Holiday House. The Stars Beneath Our Feet, written by David Barclay Moore, is the Steptoe Author Award winner. The book is published by Alfred A. Knopf, an imprint of Random House Children’s Books, a division of Penguin Random House LLC. Mama Africa! How Miriam Makeba Spread Hope with Her Song, illustrated by Charly Palmer, is the Steptoe Illustrator Award winner. The book is written by Kathryn Erskine and published by Farrar Straus Giroux Books for Young Readers, an imprint of Macmillan Publishing Group, LLC. Eloise Greenfield is the winner of the Coretta Scott King–Virginia Hamilton Award for Lifetime Achievement. The award pays tribute to the quality and magnitude of beloved children’s author Virginia Hamilton. Eloise Greenfield was born in Parmele, North Carolina, and currently resides in Washington, D.C. Early in life, she discovered a love of reading and writing and realized there were few books that showed the fullness of African-American life. She published her first book in 1972 and went on to write and publish more than 40 books. From Honey, I Love to The Great Migration, this multiple-award-winning author has captivated audiences through the years. Four Printz Honor Books also were named: The Hate U Give, written by Angie Thomas and published by Balzer + Bray, an imprint of HarperCollins Publishers; Long Way Down, written by Jason Reynolds and published by Caitlyn Dlouhy Books/Atheneum Books for Young Readers, an imprint of Simon & Schuster Children’s Publishing; Strange the Dreamer, written by Laini Taylor and published by Little, Brown Books for Young Readers, a division of Hachette Book Group; and Vincent and Theo: The Van Gogh Brothers, written by Deborah Heiligman and published by Godwin Books/Henry Holt, an imprint of Macmillan Children’s Publishing Group. Silent Days, Silent Dreams, written and illustrated by Allen Say and published by Arthur A. Levine Books, an imprint of Scholastic Inc., wins the award for young children (ages 0–8). Macy McMillan and the Rainbow Goddess, written by Shari Green and published by Pajama Press Inc., is the winner for middle grades (ages 9–13). You’re Welcome, Universe, written and illustrated by Whitney Gardner and published by Alfred A. Knopf, an imprint of Random House Children’s Books, a division of Penguin Random House LLC, is the winner for teens (ages 14–18). All Systems Red, by Martha Wells, a Tor.com Book, published by Thomas Doherty Associates; The Clockwork Dynasty, by Daniel H. Wilson, published by Doubleday, a division of Penguin Random House LLC; Down Among the Sticks and Bones, by Seanan McGuire, a Tor.com Book, published by Thomas Doherty Associates; Electric Arches, by Eve L. Ewing, published by Haymarket Books; A Hope More Powerful Than the Sea, by Melissa Fleming, published by Flatiron Books; Malagash, by Joey Comeau, published by ECW Press; Roughneck, by Jeff Lemire, published by Gallery 13, an imprint of Simon & Schuster, Inc.; She Rides Shotgun, by Jordan Harper, published by Ecco, an imprint of HarperCollins Publishers; Things We Have in Common, by Tasha Kavanagh, published by MIRA Books; and An Unkindness of Magicians, by Kat Howard, published by SAGA Press, an imprint of Simon & Schuster, Inc. The 2018 winner is Jacqueline Woodson, whose award-winning works include Brown Girl Dreaming, After Tupac & D Foster, Locomotion, and Show Way. The 2018 winner is Angela Johnson. Her books include Heaven, Looking for Red, The First Part Last, and Sweet, Hereafter, all published by Simon & Schuster Books for Young Readers, an imprint of Simon & Schuster Children’s Publishing; Bird, published by Puffin Books, an imprint of Penguin Young Readers, and Toning the Sweep, published by Orchard Books, an imprint of Scholastic Inc.
Debbie Reese will deliver the 2019 May Hill Arbuthnot Honor Lecture. Reese is a longtime advocate for Native representation and is a former teacher and university professor. She earned her Ph.D. in education from the University of Illinois, where she also helped establish the Native American House and American Indian Studies program. She also holds an MLIS from San José State University. She is tribally enrolled at Nambe Owingeh Pueblo in New Mexico. The Murderer’s Ape is the 2018 Batchelder Award winner. Originally published in Sweden as Mördarens Apa, the book was written and illustrated by Jakob Wegelius, translated from Swedish by Peter Graves and published by Delacorte Press, an imprint of Random House Children’s Books, a division of Penguin Random House LLC. Three Batchelder Honor Books also were named: Malala: Activist for Girls’ Education, published by Charlesbridge Publishing, written by Raphaële Frier, illustrated by Aurélia Fronty, and translated from French by Julie Cormier; When a Wolf is Hungry, published by Eerdmans Books for Young Readers, written by Christine Naumann-Villemin, illustrated by Kris Di Giacomo, and translated from French by Eerdmans Books for Young Readers; and You Can’t Be Too Careful!, published by Elsewhere Editions, written and illustrated by Roger Mello, and translated from Portuguese by Daniel Hahn. The Hate U Give, produced by HarperAudio, is the 2018 Odyssey Award winner. The book is written by Angie Thomas and narrated by Bahni Turpin. The Book of Dust: La Belle Sauvage, produced by Listening Library, an imprint of the Penguin Random House Audio Publishing Group, written by Philip Pullman and narrated by Michael Sheen; A Boy Called Christmas, produced by Listening Library, an imprint of the Penguin Random House Audio Publishing Group, written by Matt Haig and narrated by Stephen Fry; Long Way Down, produced by Simon & Schuster Audio and written and narrated by Jason Reynolds; Trombone Shorty produced by Live Oak Media, written by Troy “Trombone Shorty” Andrews, and narrated by Dion Graham; and The Wizards of Once produced by Hachette Audio, written by Cressida Cowell, and narrated by David Tennant. 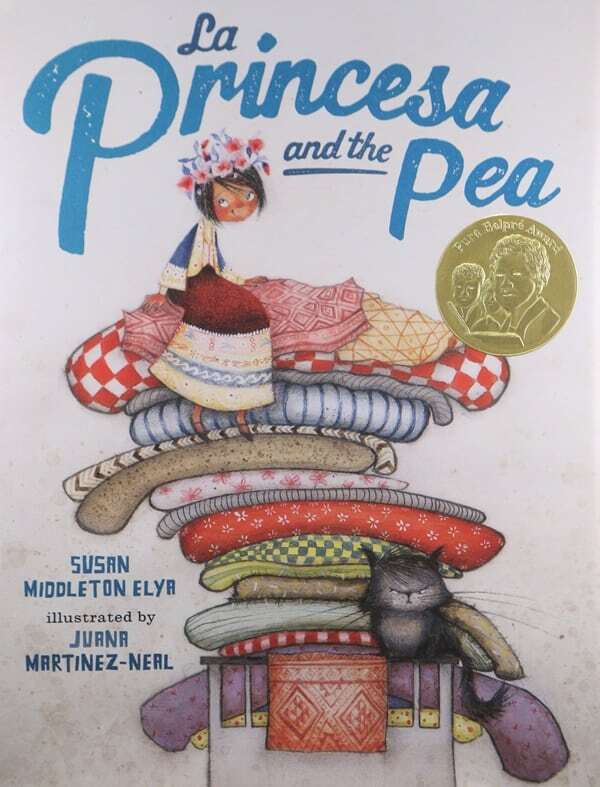 La Princesa and the Pea, illustrated by Juana Martinez-Neal, is the Belpré Illustrator Award winner. The book was written by Susan Middleton Elya and published by G. P. Putnam’s Sons, an imprint of Penguin Random House LLC. All Around Us, illustrated by Adriana M. Garcia, written by Xelena González and published by Cinco Puntos Press; and Frida Kahlo and Her Animalitos, illustrated by John Parra, written by Monica Brown, and published by NorthSouth Books, Inc., an imprint of NordSüd Verlag AG. Lucky Broken Girl, written by Ruth Behar, is the Pura Belpré Author Award winner. The book is published by Nancy Paulsen Books, an imprint of Penguin Random House LLC. Two Belpré Author Honor Books also were named: The Epic Fail of Arturo Zamora, written by Pablo Cartaya and published by Viking, an imprint of Penguin Random House LLC; and The First Rule of Punk, written by Celia C. Pérez and published by Viking, an imprint of Penguin Random House LLC. Twelve Days in May: Freedom Ride 1961, written by Larry Dane Brimner, is the Sibert Award winner. The book is published by Calkins Creek, an imprint of Highlights. Chef Roy Choi and the Street Food Remix, written by Jacqueline Briggs Martin and June Jo Lee, illustrated by Man One, and published by Readers to Eaters Books; Grand Canyon, written and illustrated by Jason Chin and published by Roaring Book Press, a Neal Porter Book; Not So Different: What You Really Want to Ask about Having a Disability, written by Shane Burcaw, illustrated by Matt Carr, and published by Roaring Brook Press; and Sea Otter Heroes: The Predators That Saved an Ecosystem, written by Patricia Newman and published by Millbrook Press, a division of Lerner Publishing Group, Inc.
Little & Lion, written by Brandy Colbert and published by Little, Brown and Company, a division of Hachette Book Group Inc.; and The 57 Bus, written by Dashka Slater and published by Farrar Straus Giroux for Young Readers, an imprint of Macmillan Publishing Group, LLC, are the 2018 recipients of the Stonewall Book Awards–Mike Morgan & Larry Romans Children’s & Young Adult Literature Award. As the Crow Flies, written and illustrated by Melanie Gillman and published by Iron Circus Comics; and The Gentleman’s Guide to Vice and Virtue, written by Mackenzi Lee and published by Katherine Tegen Books, an imprint of HarperCollins Publishers. Charlie & Mouse, written by Laurel Snyder and illustrated by Emily Hughes. The book is published by Chronicle Books. Five Geisel Honor Books also were named: I See a Cat, written and illustrated by Paul Meisel and published by Holiday House; King & Kayla and the Case of the Missing Dog Treats, written by Dori Hillestad Butler, illustrated by Nancy Meyers and published by Peachtree Publishers; My Kite Is Stuck! And Other Stories, written and illustrated by Salina Yoon and published by Bloomsbury Children’s Books; Noodleheads See the Future, written by Tedd Arnold, Martha Hamilton, and Mitch Weiss, illustrated by Tedd Arnold, and published by Holiday House; and Snail & Worm Again, written and illustrated by Tina Kügler and published by Houghton Mifflin Harcourt Publishing Company. 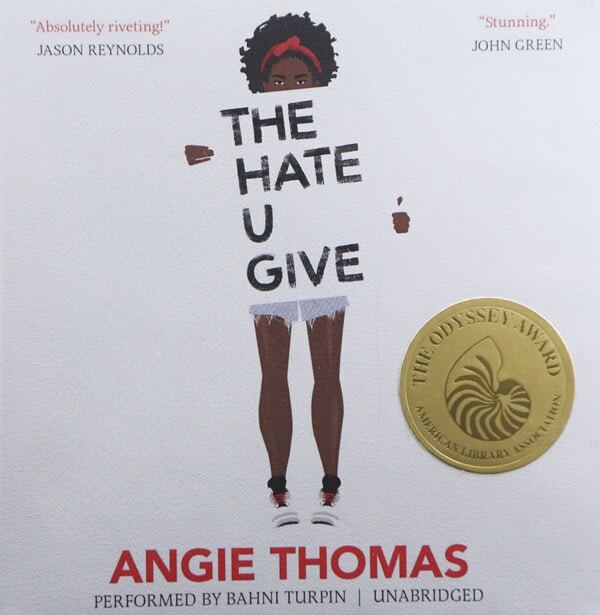 The Hate U Give, written by Angie Thomas, is the 2018 Morris Award winner. The book is published by Balzer + Bray, an imprint of HarperCollins Publishers. Four other books were finalists for the award: Dear Martin, written by Nic Stone and published by Crown Books for Young Readers, an imprint of Random House Children’s Books, a division of Penguin Random House LLC; Devils Within, written by S. F. Henson and published by Sky Pony Press, an imprint of Skyhorse Publishing; Saints and Misfits, written by S. K. Ali and published by Salaam Reads, an imprint of Simon & Schuster Children’s Publishing; and Starfish, written by Akemi Dawn Bowman and published by Simon Pulse, an imprint of Simon & Schuster Children’s Publishing. Vincent and Theo: The Van Gogh Brothers, written by Deborah Heiligman, is the 2018 Excellence winner. The book is published by Godwin Books/Henry Holt, an imprint of Macmillan Children’s Publishing Group. 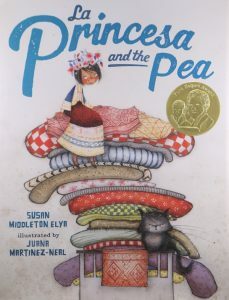 Four other books were finalists for the award: #NotYourPrincess: Voices of Native American Women, edited by Mary Beth Leatherdale and Lisa Charleyboy and published by Annick Press; Eyes of the World: Robert Capa, Gerda Taro, and the Invention of Modern Photojournalism, written by Marc Aronson and Marina Budhos and published by Henry Holt, an imprint of Macmillan Children’s Publishing Group; The 57 Bus: A True Story of Two Teenagers and the Crime That Changed Their Lives, written by Dashka Slater and published by Farrar Straus Giroux, an imprint of Macmillan Children’s Publishing Group; and The Whydah: A Pirate Ship Feared, Wrecked, and Found, written by Martin W. Sandler and published by Candlewick Press. 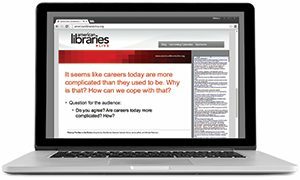 Recognized worldwide for the high quality they represent, ALA awards guide parents, educators, librarians, and others in selecting the best materials for youth. 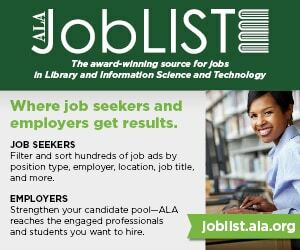 Selected by judging committees of librarians and other children’s experts, the awards encourage original and creative work. 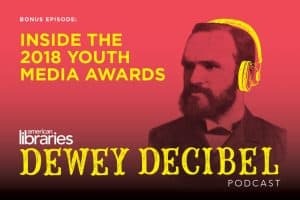 For more information on the ALA youth media awards and notables, please visit www.ala.org/yma.